Dosing Regimen for KodatefIMPORTANT NOTE – A VALID AUSTRALIAN PRESCRIPTION OR A CONSULTATION WITH A DOCTOR AT ONE OF OUR CLINICS IS REQUIRED BEFORE THESE ITEMS CAN BE SHIPPED. CALL NOW TO BOOK YOUR CONSULTATION: 03 5823 5446. The following information is provided in the interest of travellers. Azithromycin is an antibiotic, which belongs to a group of medicines called azalides, a sub-class of a group of antibiotics called macrolides. Azithromycin is used to treat a variety of infections, alone or in combination with other drugs, to treat otitis media, pelvic inflammatory disease, pharyngitis, community-acquired respiratory infections (including pneumonia), gastrointestinal infections (such as those caused by eating contaminated food), and gonorrhoea. Your doctor will tell you how much azithromycin to take, depending on your condition and whether or not you are taking any other medicines. You are hypersensitive to, or have had an allergic reaction to azithromycin, any other macrolide or ketolide antibiotic (eg clarithromycin, erythromycin, roxithromycin) or any of the ingredients of the tablets. 1. You have allergies to: any other medication or any substance, such as food, preservatives or dyes. • electrolyte disturbance, particularly low levels of potassium or magnesium in your blood. cystic fibrosis, infection occurring in hospital, infection of the blood, hospital admission, are elderly or have significant health problems (including immunodeficiency). You are about to have a general anaesthetic. Other side effects are less common and, where concerned, speak to your doctor or go to an accident and emergency department. Do not leave in a car on a hot day or store near a sink. Each tablet contains 500mg of azithromycin (as azithromycin dihydrate) as the active ingredient. This medicine is gluten-free, sucrose- free, tartrazine-free and free of other azo dyes. This medicine contains lactose. The usual dose to treat gastrointestinal infection is two 500 mg tablets taken as a single dose. Your doctor will advise for other infections. Swallow the tablets whole with liquid. This medicine may be taken with or without food. If you are taking an antacid (eg Gastrogel, Mylanta), take it at least one hour before or two hours after this medicine dose. Travellers who carry azithromycin for self-medication of severe travellers’ diarrhoea or dysentery should be clear about the indications for its use. 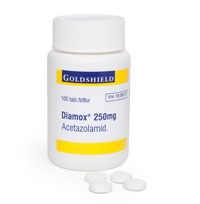 Diamox is the brand name of acetazolamide, an old drug originally used as a diuretic, but now more commonly used in the management of altitude sickness (but also in glaucoma, central apnoea, etc,). 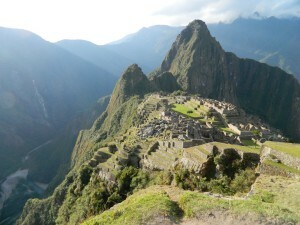 It is used to help travellers acclimatise to high altitudes. Diamox works by forcing the kidneys to excrete bicarbonate, the base form of carbon dioxide; this re-acidifies the blood, which stimulates more rapid breathing particularly at night. Its net effect is to accelerate the acclimatisation process. Diamox is a sulfonamide-derived medication, and persons allergic to sulphur medicines should not take it. Common side effects include numbness, tingling, or vibrating sensations in hands, feet, and lips. Also, taste alterations, and ringing in the ears. These go away when the medicine is stopped. Since Diamox works by forcing a bicarbonate diuresis, you will urinate more on this medication. Uncommon side effects include nausea and headache. A few trekkers have had extreme visual blurring after taking only one or two doses of Diamox; fortunately they recovered their normal vision in several days once the medicine was discontinued. Diamox is made in 250mg tablets. GoodTrips recommends half a tablet every 12 hours from the day before ascent and continuing for five days, depending on your need. Our clinics provide small bottles of 12 tablets, which is usually adequate for two people making a five-day trip to higher altitudes. This drug is not available on line. It is available at the time of consultation. 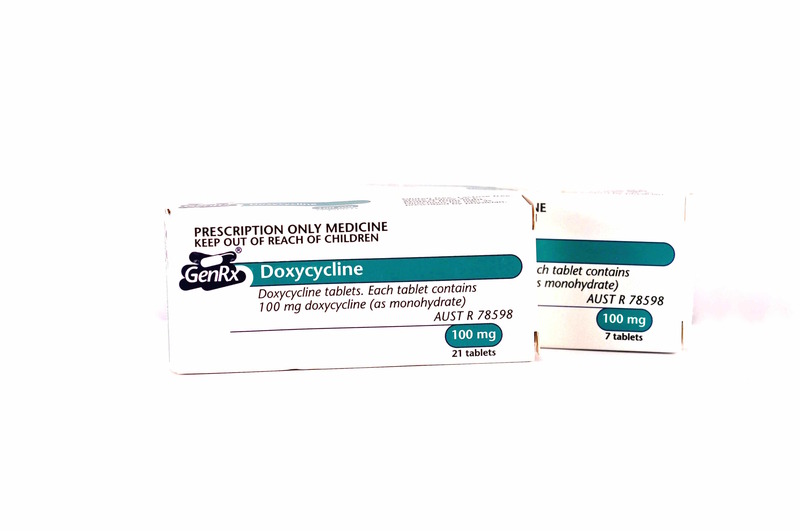 Doxycycline is an early antibiotic useful for the treatment of a number of infections. It is a member of the tetracycline class of antibiotics and is produced under many brand names. Doxycycline is the most commonly used antibiotic in the prevention of malaria in travellers to malarial areas. It may be prescribed alone or with other medications in preventing malaria. Like all antibiotics, doxycycline may rarely change the vaginal flora leading to vaginal thrush. Similarly, there was a theoretical interference with the functioning of oral contraceptives, perhaps leading to contraceptive failure. Much more commonly, doxycycline will produce a phototoxic rash, increasing the risk of sunburn, a problem for travellers. All tetracyclines should be avoided in pregnancy or lactating women because of the possible permanent staining of teeth in the baby. Occasionally an oesophagitis occurs, when the tablets are not adequately swallowed. 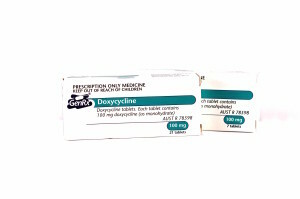 Doxycycline must not be used in children under 12 years, or in pregnant or lactating women. Tablets should always be taken with a drink and the traveller should remain upright for at least an hour. Doxycycline comes in 50mg and 100mg tablets. Tablets or capsules are taken each day, beginning a day before entering the malarial area and continuing for 28 days after leaving. For the prevention of malaria, doxycycline is taken in daily doses of about 1mg/kg weight. Commonly 100mg tablets are used, but in very heavy people, the dose may need to be increased. When doxycycline is taken for other conditions, eg the management of acne, the daily dose may be only 50mg. This is inadequate for malarial prevention. There are no known limitations in time for the long-term prevention of malaria. At GoodTrips, we stock doxycycline in packets of seven or twenty-one. They are available at the consultation. Your medication is called Gastro-Stop*. Each capsule contains 2mg loperamide hydrochloride. What is Gastro-Stop* used for? Gastro-Stop* belongs to a group of drugs used for the treatment of diarrhoea. 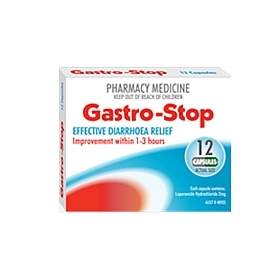 Gastro-Stop* capsules are used to treat acute diarrhoea for short periods; i.e. up to 2 days in adults and children over 12 years old. Doctors may sometimes prescribe these capsules for other reasons; ask your doctor or pharmacist for information. Do not give Gastro-Stop* to children under 12 years of age. If the answer to any of the following questions is YES, consult your doctor or pharmacist before taking Gastro-Stop*. * Have you ever had an allergic reaction to loperamide? * Is your diarrhoea accompanied by fever, or by blood in the stools? * Are you taking any other medication, especially antibiotics, tranquillisers, or narcotic pain medication ? * Will you be drinking alcohol while taking this medication? * Are you pregnant or breast feeding? * Do you suffer from glaucoma? * Do you suffer from bowel obstruction, constipation or abdominal bloating? * Do you suffer from Inflammatory Bowel Disease; e.g. colitis? * Do you suffer from liver disease? * Do you suffer from kidney disease? * Do you suffer from bladder obstruction? * Are you under 12 years of age? * Are you over 65 years of age? – Always follow the directions on the label. If you do not understand these directions, or you are in any doubt, ask your doctor or pharmacist. – These capsules should be swallowed with a glass of water. – You should not continue to take these capsules for longer than 48 hours, unless your doctor tells you to. If you forget to take a capsule after a loose bowel motion, take another as soon as you remember. If diarrhoea persists after 48 hours, see a doctor. – In the event of an accidental overdose, contact your nearest hospital casualty department or your doctor immediately. As with most medicines, Gastro-Stop* can sometimes cause unwanted side-effects in some people. * Skin reactions such as nettle rash or hives. Also, if you feel any other unexpected symptoms, see your doctor. Do not use this medicine after the expiry date shown on the outside packaging. These capsules should be stored in a cool, dry place away from light, in the package supplied. Do not transfer them to another container. Keep them in a secure place where children cannot get at them. This medicine is for you ONLY, do not give it to anyone else. Unless your doctor tells you to, do not keep these capsules for longer than you need. Gastro-Stop also contains maize starch, lactose, povidone, sodium starch glycolate, magnesium stearate and water. The capsule shell contains gelatin and is coloured with patent blue V (E131), titanium dioxide (E171), yellow iron oxide (E172) and black iron oxide (E172). Gastro-Stop capsules are green and grey in colour, and come in packs of 6 and 12. The capsules are marked “LOP2” on both halves. 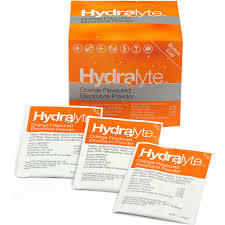 Hydralyte may be taken on the first signs of fluid loss due to vomiting and diarrhoea. Hydralyte may also be taken to help manage dehydration due to the loss of fluids through heavy sweating; this can be caused by a hot or dry environment, fever or strenuous exercise. Mix Hydralyte immediately before required. Empty contents of one sachet into the measuring cup and stir the mixture until the Hydralyte powder has dissolved. Sip slowly and frequently while symptoms persist. Discard unused solution after 24 hours. Avoid mixing Hydralyte powder with cordial, fruit juice, soft drink or sports drink as these can interfere with the rehydration process or worsen the dehydration. Kodatef is a new oral medication for the prevention of malaria in travellers aged >18 years. Approved by the TDA in 2019, it is an analogue of primaquine, with a longer half life. Malarone is a combination of atovaquone and proguanil and has been used in both the prevention and treatment of malaria since 2000. Neither drug is used or should ever be used alone, but has been very successful in combination. A standard tablet of Malarone contains 100 mg of proguanil hydrochloride and 250 mg of atovaquone. A paediatric tablet (Malarone Junior) contains 25 mg of proguanil hydrochloride and 62.5 mg of atovaquone. For the prevention of malaria, the standard dose for adults is 1 tablet daily while in the malarial area, commencing the day before arrival and continuing for seven days after leaving. It is best taken with a fatty meal or milk and the traveller should remain upright for half an hour afterwards. In the treatment of malaria, Malarone should not be used if the drug has been used as prophylaxis. Dosage is as directed by the doctor. A side effect is an unexpected reaction to using a drug. Commonly, people taking Malarone may experience gastro-intestinal disturbances or headache. Less commonly, some experience an allergic reaction, rash, fever, abnormal blood tests or mood disorders such as anxiety, difficulty in sleeping, depression, strange dreams, etc. STOP taking Malarone and seek medical attention immediately if you experience any of the following severe allergy symptoms after taking Malarone. Malarone is generally very well tolerated, but its duration of use in the prevention of malaria has not been determined. At GoodTrips, we stock Malarone (in packets of 12 or 24) and Malarone Junior. 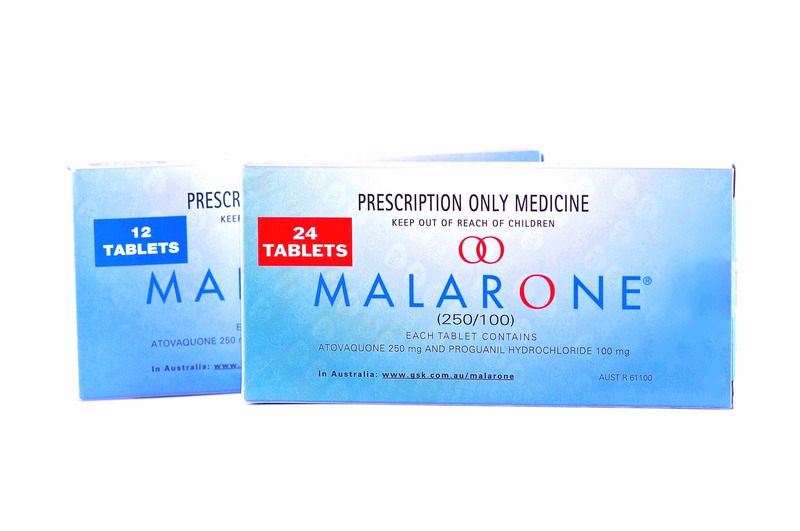 Malarone is always in stock at Kialla and Mooroopna Medical. Simplotan is a brand of tinidazole, an antibiotic belonging to the nitroimidazole group, and is used to treat infections of the gut, genital tract and surgical wounds. 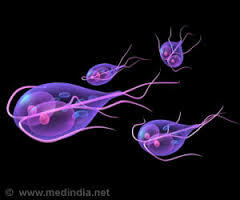 Amoebic liver disease in children. 4 tablets of Simplotan are usually taken, as a single dose, for the treatment of amoebic dysentery. Take during or after a meal. You are allergic to the drug or any ingredient listed on the leaflet. Do not take alcohol while taking Simplotan or for three days after stopping. Who is most at risk of amoebic dysentery? Travellers to areas of poor hygiene or where food has been contaminated. Side effects are rare but, where they occur, are most commonly associated with nausea, gastrointestinal disorders, headache or dermatitis. Reactions may occur when taken with alcohol and should be avoided. Simplotan contains 500mg of tinidazole per tablet as the active ingredient. Simplotan is usually given as a single dose of four tablets, to be taken at the same time. However, depending on your condition and how you react to the medicine, your doctor may ask you to take some other dose or take it for a longer time. Stemzine is a brand of prochlorperazine, which belongs to a group of medicines called phenothiazines and used to correct imbalance, nausea and vomiting. Stemzine is used to treat nausea, vomiting and dizziness due to various causes, including migraine. Your doctor will tell you how much Stemzine to take, depending on your condition and whether or not you are taking any other medicines. You are allergic to this drug or any other phenothiazines or to any ingredient listed on the leaflet. You have a history of shock, any disease of the blood or of jaundice. You have any disease of the brain, spinal cord or nervous system. Do not take if drowsy or unconscious. Phaeochromocytoma, Parkinson’s disease, myasthenia gravis, kidney or heart problems, epilepsy, prostate problems, glaucoma, hypothyroidism, blood clots, dementia or diabetes. Medicines used to control mood, alcohol, medicines used to control epilepsy, medicines used to relieve stomach cramps, control heart rate, etc. Please check the package insert. Do not leave in a car on a hot day. The active ingredient in Stemzine tablets is prochlorperazine maleate (5mg). The usual recommended dose for nausea and vomiting is 1 or 2 tablets two to three times daily.